The Burleson Files | Different, Not Better. For many years now, I’ve taught doctors it’s best to position their practices as different not better. Consumers cannot judge whether your treatment is better or not until after the fact, so you might as well get on with the task of showing them how your office is different and solves problems that others are either unwilling or unable to solve. Consumers assume you’re going to provide great quality, otherwise why even show up? Because they’re curious about what goes on in an orthodontic practice? I think not. Have you ever taken your family out to eat with the premise that you’re all going to get food poisoning. I didn’t think so. Your prospective new patients come to you because they’ve heard about you from a friend or relative, perhaps their dentist recommended you or maybe they just want to know if now is a good time for their child’s braces and you were on the list of insurance providers, close to work or school or came up first in a quick Google search. Whatever the reason why patients find you, understand this: they assume you’re going to take great care of them, so stop talking about all of the things that are important to you and start positioning yourself as different, especially in how consumers will compare you to the competition. Find something only you can do or something you do better than anyone else and make that your baby, own it, tell everyone about it and make sure your patients are trained to repeat it to friends and family. We’ve done this for our own practices and in market after market for our coaching clients by adding extended evening hours, membership programs, weekend hours and complete risk removal by offering lifetime satisfaction guarantees and free retainers for life. It’s not some genius idea that I came up with in my sleep. I stole it from other smart companies like Disney, Apple, Nordstrom and The Ritz Carlton. I cherry picked those examples because I particularly like higher margin businesses and the freedom provided to hire the best employees, pay them more than you think they are worth, invest in marketing and technology and generally operate in a world of abundance. That’s just me. I can point to additional examples in lower margin businesses where they are using the same principles, just different strategies and tactics to grow brilliant businesses. Wal-Mart, Amazon, QuickTrip, McDonald’s, Best Value Inn, Dollar General and Domino’s Pizza come to mind. They’re operating on the same principle: what makes our products and services unique in the mind of the consumer and how can we deliver on our promises? I can now add a new example to my list. 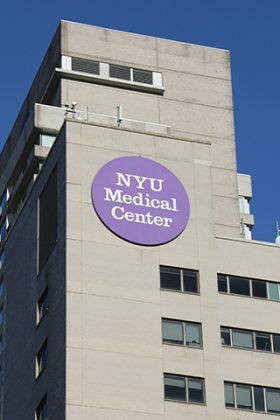 At the white-coat ceremony for new students last month, New York University announced on Thursday that all current and future medical students will receive 100% free tuition. What previously cost students $55,000 a year is now free. Wow. Talk about a unique differentiator. NYU’s Langone School of Medicine is now the only top-10 rated medical school in the nation to offer its students completely free tuition. They’ve managed to achieve this incredible feat by establishing a $600 million endowment, spear-headed by the billionaire Kenneth Langone, founder of The Home Depot and his $100 million gift towards the initiative. NYU just put themselves in a category of one. They will receive 10X the number of applications for next year’s entering class. If you’re a top-tier applicant and can choose between USC, Harvard, Mayo Clinic and Stanford, you’re definitely now considering NYU, if not placing it at the top of the stack, as it is the only school that is willing to give you a $220,000 gift in free tuition. Is NYU’s medical school any better than the aforementioned institutions? Hard to say. I’m not a medical doctor. I don’t even play one on TV. I do know that overnight they positioned their school as very, very different. What is no one else offering in your town that could create a new market for you? What are you doing that is amazing but that you’re not sharing with your target market? My private clients and founders of Ortho Marketing Done for You and Premier Orthodontics, Drs. Dustin and Tyler Coles, donate over 100 cases each year to Smiles Change Lives. They aren’t shy about sharing this amazing accomplishment. If you live in the Phoenix area, it’s impossible not to know about Premier Orthodontics. They are on the news and on the cover of magazines for a reason. They’ve made their operation very very different. They operate in a category of one. I want you to do a fun exercise this week. I want you to keep a list (ask your spouse or significant other to do the same) of everywhere you spend money, both online and offline. Just keep a little notepad somewhere near the kitchen counter and in your car. When you spend money, jot down the name of the business and category, then quickly, without spending too much time, write down why you spent your money there versus the other alternatives. At the end of the week, sit down with your list of “reasons why” and then go to your website or pick up some of your recent marketing pieces and ask yourself if any of common consumer purchase behavior (emotional, practical or otherwise) appear in your marketing and how you attract new patients. This is a sobering exercise I learned from the world’s top marketers, whom I’ve paid handsomely for their advice. For the first time, when I completed this exercise, I understood how and why I made buying decisions and I quickly realized my patients do the same thing. The myopic problem with small business owners is that we get so attached to our thing, to our baby, that we cannot see how consumers see. This is a dangerous way to run a business. If I go to my grave having only changed the mind of our profession on one simple fact – that what we do and what consumers want from us are often diametrically opposed – I’ll go in peace.